BEND, OR (02/07/19) -- State wildlife officials confirm a cougar is roaming southwest Bend. Tracks were discovered along the rim near River Canyon Estates and in one residential backyard. ODFW believes the cougar was in the area between Monday and Tuesday. Authorities notified area schools and homeowner associations, and have posted warning signs in neighborhoods. 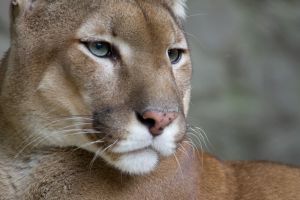 Oregon Fish and Wildlife personnel will continue to monitor the area for signs of the cougar. People with questions or concerns can visit ODFW’s website and search “Living with wildlife-Cougars” or click HERE. UPDATE (02/09/19): Wildlife officials say the cougar that left tracks in a southwest Bend backyard has been killed. Oregon Fish and Wildlife and Bend Police tracked the animal into Deschutes River Woods, Saturday morning, and killed it at about 8:30 a.m. The male cougar’s paw prints match tracks found late last week in a residential area near the deschutes river canyon. It weighed 135 pounds and authorities say posed a threat to humans, due to the territorial nature of male cougars.